Stadium Super Trucks at Texas Motor Speedway in 2017. Stadium Super Trucks founder Robby Gordon’s had issues with racing officials in Australia, like when they banned him from competing for doing donuts in a race truck on the street. But this new spat is far bigger: This week, the Supreme Court of Victoria upheld a suspension of his entire series from the country. The confederation said the suspension stemmed from safety concerns that came up in the most recent Stadium Super Trucks Australia race in May, and while it didn’t specify what the “serious incident” was, it’s not hard to figure out. 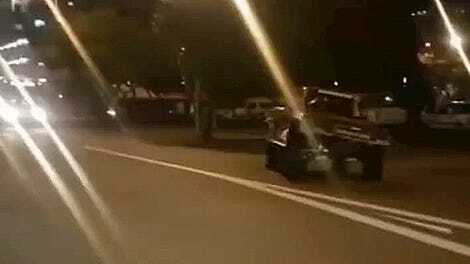 During the May race, a wheel from a truck came off and struck a pedestrian bridge in Perth, as Motorsport.com noted. That all made the confederation consider the safety risks of the series, and Stadium Super Trucks isn’t your average Sunday drive—the trucks cartwheel, land on two wheels sometimes, and driver Matt Mingay lost his jaw in a 2016 wreck. The suspension wound up in court when Stadium Super Trucks boss Gordon filed an injunction after the confederation dropped the series from the Gold Coast 600 race lineup, as Motorsport.com reports. The races are next weekend. 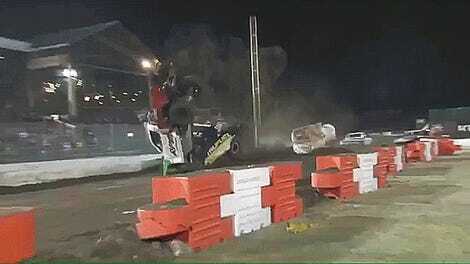 Following a serious incident at a Stadium Super Trucks round in Perth in May, a CAMS working group was established to consider the safety risks of the category. A number of safety related incidents were then analysed and CAMS’ expert view was that the category posed a significant and increasing risk. It was CAMS’ view that the potential risks were too great to continue, particularly at a confined street circuit. These concerns were put to the category manager who failed to provide a satisfactory and suitable response to the dangers identified and the decision was then made to suspend the category in Australia. Stadium Super Trucks doesn’t appear to have made an official announcement about the ruling on its website or Twitter feed, but retweeted a post a few days ago linking an Oct. 5 Motoring post with some backstory. The story said Robby Gordon Entertainment claims its trucks’ wheels would be 2.5 to four times stronger at the Gold Coast 600 if the confederation lifted the suspension and allowed them to race, but that ultimately didn’t happen. The confederation’s CEO Eugene Arocca said in its statement that it’s not all over for Stadium Super Trucks in Australia, and that the series could come back one day—if it meets the criteria, and if it wants. 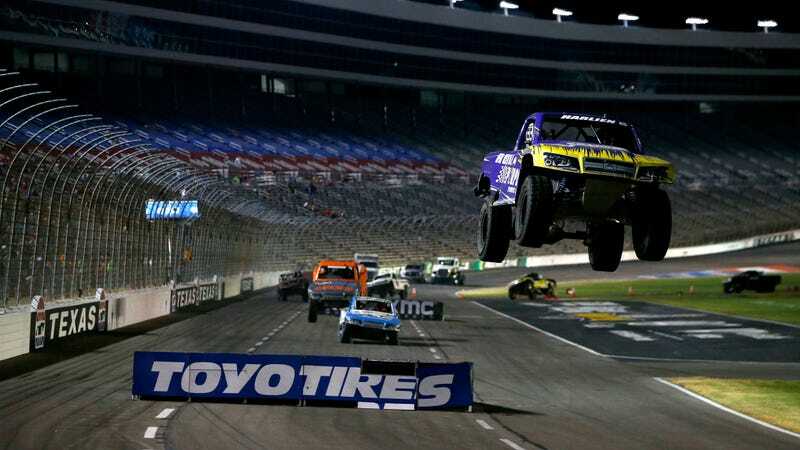 As for Stadium Super Trucks, Jalopnik has asked the series for an official comment on the court ruling, and will update this story if we hear back. Gordon mentioned multiple alleged failures on the confederation’s part in the statement, including not complying with its own rules and not working with Stadium Super Trucks on the safety concerns. The full statement is here. Update: Wednesday, Oct. 17, 2018 at 8:49 a.m. ET: Motorsport.com reports that Stadium Super Trucks is going back to race in Australia around the time of the Gold Coast 600, but under a different motorsport governing body. Nice one.